This is a unique, how-to art instruction book, taught by masterful artist Dan Carrel. 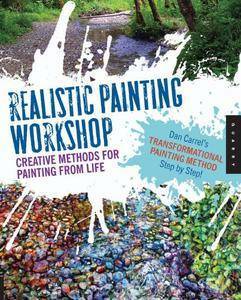 Using Dan’s original method of painting, readers with little or no painting experience will easily learn to create realistic renderings of any subject. Through a simple process of layering and learning how to create light and shadow with paint, a complex and sophisticated image emerges. What begins as chaotic color is transformed into an orderly, realistic finished piece of art. 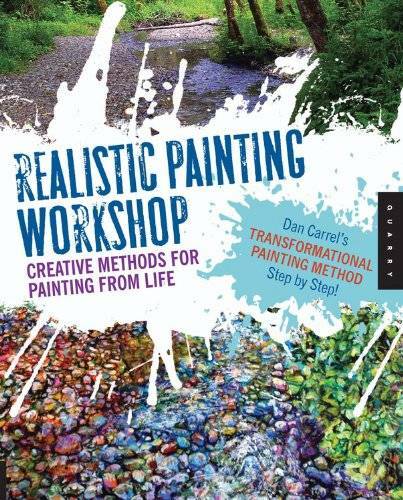 Dan Carrel has been teaching workshops for over 30 years with amazing results. No matter what your artistic inclination, and even if you have never picked up a paintbrush, you’ll find yourself painting beyond your wildest expectations. Anchored in a positive philosophy of creative discovery, this workshop teaches Dan’s no-fail techniques through accessible, step-by-step visual instruction and inspiration.